Fear helps animals survive, but when fear becomes overwhelming or is triggered by everyday situations, learning and safety are both compromised. All animals feel fear, but the expression of that fear varies across species. In this multi-species Session, we will look at: how the function of fear is the same across all animal species, how different species vary in their expression of that fear and what the species-specific expressions look like, and basic training principles working with fearful animals. When those details are more clear, we will explore different animal-friendly techniques for reducing or modifying fear. We will examine target training, counter-conditioning, and teaching incompatible behaviors as ways to modify fear. Within each technique, we will review videos and brief case histories of individual dogs and horses, paying attention to what stays the same across species and what must be modified for skillful species-specific application. Join Jen Digate in this unique Session to delve into the finer print of using positive reinforcement to help animals learn to regulate their fear and regain quality of life. Her lifelong passion for horses has inspired Jen Digate to reimagine the horse-human bond, and explore both the myth and legend of these magical creatures. Through a blend of behavioral science, practical experience, and positive reinforcement methods, Jen strives to build a collaborative relationship with her horses. She believes in building choice, clear criteria, and barometer behaviors into the structure of her training sessions. Jen specializes in introducing untamed mustangs to domesticated life, including exposure to husbandry and vet care; exploring the intricacies of balance and healthy biomechanics to promote soundness, beauty, and longevity for all horses; foal training; and helping fearful, anxious, and mistreated horses learn to trust humans and enjoy the game of training. Jen has been training horses and dogs for 15 years, and holds a Certification for Behavior Consultants - Canine (CBCC-KA). She offers both in-home behavior modification consultations for dogs and group classes through her business, Wild Canine. Jen also holds foundation-level clicker training clinics at Idle Moon Farm in southeastern Wisconsin, as well as clinics with Alexandra Kurland, with whom she has studied intensively for the last five years. 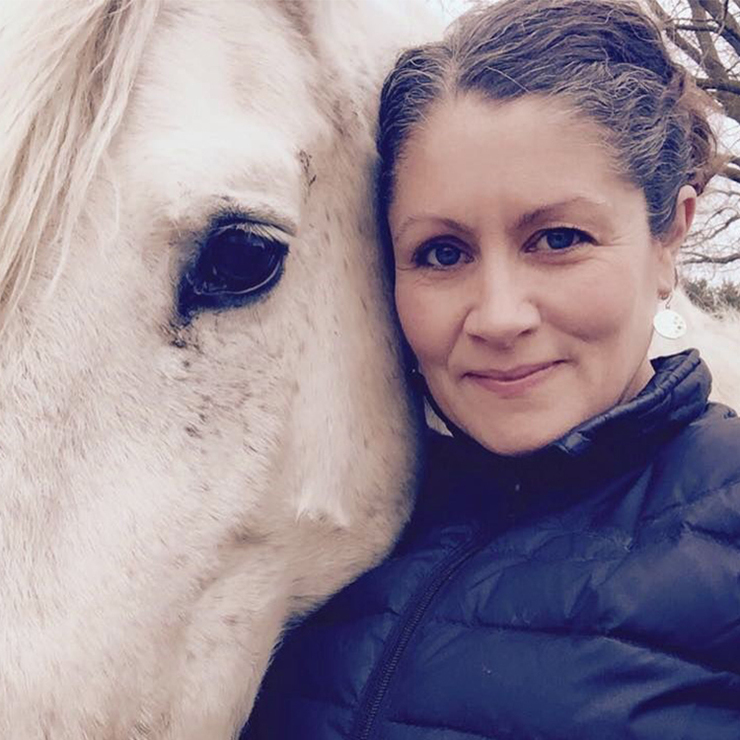 Jen offers individual coaching sessions for humans and their horses both through her own business, Spellbound, and as a coach for Alexandra Kurland's online course.